Author(s) Kenneth S. Saladin Dr.
Read it, See it, Master it! Read it – Ken Saladin explains human anatomy in an engaging, yet efficient way. He puts a premium on the words, and uses student–relevant analogies to motivate the reader. See it – Saladin's collection of illustrations and photos are carefully chosen to support the text discussion. Vibrant and realistic presentations engage students. Master it – With Connect Anatomy and Physiology, Learn Smart and Anatomy and Physiology Revealed, students can practice and improve their understanding of concepts. From the most pedagogically sound organisation to the exceptional art, to the integration of text with technology, Saladin has formed a teaching system that will both motivate and enable students to understand and appreciate the wonders of human anatomy. This distinctive text was developed to stand apart from all other anatomy texts with an approach borne out of more than 30 years of teaching, unparalleled art, and a writing style that has been acclaimed by reviewers. 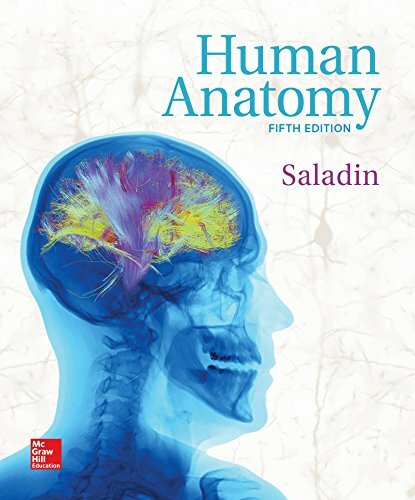 Designed for a one–semester college anatomy course, Saladin requires no prior knowledge of chemistry or cell biology. Users who purchase Connect receive access to the full online ebook version of the textbook as well as Anatomy and Physiology Revealed 3.0 and adaptive learning system – Learn Smart.